The department is headed by Mr. Joseph Malinda the County Clerk, whose picture appears on the right. He is the holder of a Bachelor of Laws degree from University of Nairobi and a Master in Business Administration from the Kenyatta University, a Diploma in Law from the Kenya School of Law. 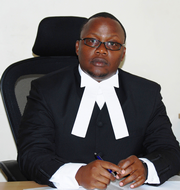 He is an Advocate of the High Court of Kenya and a Certified Public Secretary. He is a member of the Law Society of Kenya, the Institute of Certified Public Secretaries of Kenya and the Kenyan Section of the International Commission of Jurists. Mr. Malinda has served in the Public Service for over 15 years. He has worked with the office of the Attorney General, Kenya Anti-Corruption Authority and defunct Local Authorities. 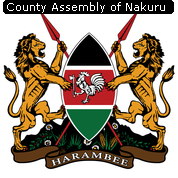 He is the Clerk to the County Assembly of Nakuru and Secretary to County Assembly Service Board. His current duties include rendering of procedural advisories to the Hon.Speaker and Members. He is the Assembly’s Accounting & authorized officer.